Be a part of this AMAZING 100 CLUB community. All you have to do to get in this club is keep committed to your workouts each week. Once you hit 100 workouts at 4G you get a certificate AND you get our one of a kind BLUE 100 club towel. 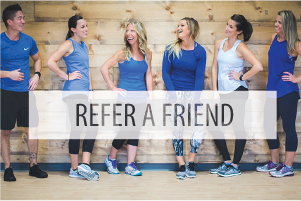 BOOK YOUR CLASSES TO JOIN THE CLUB! 4g is a wonderful place to go and workout. It has 4 different type of workouts to suit everyone's needs. Every class I take I feel like I got a good workout! I have taken all 4 but lift is my favorite. The trainers are super nice and know what they are talking about! I definitely recommend 4g to come and workout at. The workouts are great!! All the trainers are super nice and know what they are talking about. You will definitely feel like you got a good workout everytime!! 4G is my favorite. I love the variety of workouts, no class is ever the same. The coaches always push and challenge me. Starting my day with a workout sets up a positive day. I started here a week ago and already loving it! Everyone is so welcoming & encouraging🙂All the classes are awesome, your sure to find at least one you love! Try it out, you won’t be disappointed. Love 4g. Obsessed with lift and flow class. Prices are great, building is beautiful. I have never been able to stick to a gym routine...until 4G. I love that I can just show up and the workout is already planned and then coached by awesome people! I always get a great workout in 45 minutes and the schedule is perfect for getting in before work. My first workout wasn’t intimidating and everyone is so sweet and welcoming. The gym itself is super clean and has a great variety to keep your workouts versatile. I’m so grateful I’ve found this place, you really need to give it a try! I absolutely love 4G Athletics! I love all the variety that you can choose from. I have taken all four of the types of classes they offer. As far as my favorite class, it's a toss up between FLOW and MOVE. But, I really have liked them all! 4G is fun, challenging and motivating. Coaches are fantastic and class options are amazing! Just come to one class and you’ll be hooked! I leave feeling so accomplished. Joined 4G about a month ago. Absolutely love the classes and instructors. Everyone is so friendly, positive and encouraging! Love 4G Athletic! I absolutely LOVE 4G Athletic! I have never been an athlete or one who enjoyed working out- it was just never “my thing”. I started working out on July 21 and wanted to make a huge change for my own health and to be an example for my children. My goal was to go 2-3 days per week, but I love it so much, I am going 5-6 days a week and sometimes double up on classes! I love the way I feel- physically AND mentally healthy! My coaches are so encouraging and supportive and I’ve met so many new friends who push me to go harder each day. With a healthy diet and exercise, I’ve lost 25 lb and gained a lot of muscle in two months. I’m so glad I found 4G and can’t wait to see how my body continues to change! Thank you, 4G! So far I’ve tried Bike and Move. I’m going to Lift today. The facility is great, instructors are even better. I felt welcomed right away and have been pushed toward my goal with each workout. The app makes it easy to plan my week and is convenient for purchasing class packages. All over win. 4G is the absolute best place to get your total body workout & always leave feeling accomplished! I had a membership to a local gym but it didn’t offer the instruction or accountability that I feel makes all the difference in my overall workout performance! I love 4G and recommend it to all of my friends and family. Love all the classes 4G offers! And all the instructors interact with us in the classes and push us harder! They get to know everyone by a first name basis, so it feels like you are at a home gym! 4G is Fantastic! The variety of classes make it really well balanced. I have been swimming laps for years and these classes have made the difference I didn’t know I needed for my overall fitness. Also, I love that my husband and teenage children can workout with me, so it is great for family too. 4G is professional and first class all the way. What a Great contribution to our community! I’m definitely a fan and will share the word about this opportunity every chance I get. The staff at 4G is amazing. The facility is clean. There are several different workouts you can do. Bike, Lift, Move or Yoga! You will not be disappointed if you come here. So glad to be part of the 4G family. This place is the best! The coaches are all amazing they give you a great workout but offer modified moves if needed. They are motivating and full of energy! The facility is so clean and nice with top notch equipment! 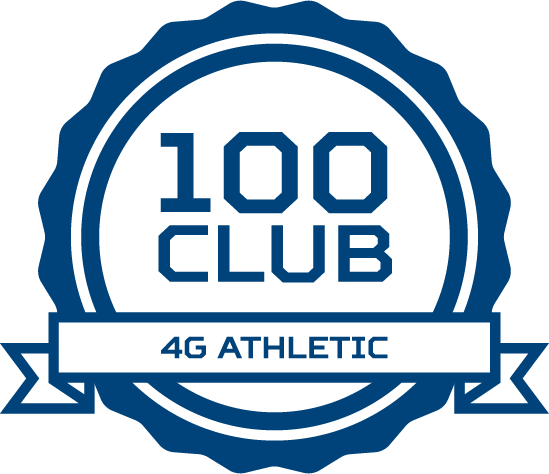 So glad I joined 4G Athletic! I LOVE 4G!! All of the coaches are amazing and they each bring something unique to all of the classes they teach. Its never the same experience and it never gets boring! I stay motivated and excited. I literally look forward to every single workout. What an awesome addition to our community! I'd highly recommend 4G Athletic to anyone. They deliver on the customer experience. Everyone is welcome and it is evident when you walk in the front door that they want you there. Thank you 4G! This place is awesome!!!! I have done every class there and all of them offer something unique and beneficial! I highly recommend to anyone just getting started or anyone looking for a change! The staff awesome and so friendly!! We absolutely love this place and it has been the game changer for me!!!! 4G is great! Your greeted with a smile. The facility is clean but best of all the work outs are intense! The trainers do a great job at encouraging and also coaching you on proper technique and form. It's a gym that allows you a variety of awesome work outs! I would highly recommend it! Great variety of workouts, super clean facility and the staff is so friendly! Each instructor takes the time to make each workout fit your needs plus motivate you to push a little harder each time. Thanks 4G staff!! great staff, clean and cool facility, simple 4 discipline regimen made unique each time by different instructors, easy check in, decent promos, and they are ALWAYS playing your jam. Love the variety of Yoga or Spin or lifting...haven’t tried the move bootcamp yet but looks like fun. Really like it here and appreciate the coaches taking the time to learn your name and the 15 minutes between classes allows some 1x1 time for questions. By far the best trainers/coaches I’ve ever had! Everyone is so sweet there & the workouts are amazing! State of the art equipment in a beautiful building. Coaches do a great job of keeping workouts fresh and fun. They take the time to get to know you and make you feel comfortable. And whoever made Kenny a manager, that was a great decision. He goes above and beyond, as a personal trainer would. Keep up the good work 4G crew! Love this place and the workouts! The staff is super friendly and helpful! And I LOVE the punchcard option! The app makes it SO easy to sign up for a class too! Amazing classes that are motivating and so much fun! This place is the BEST! The trainers and workouts are amazing. So worth it!! Very impressed with the facility. The staff was friendly, very informative and helpful. Mandy did a great job teaching the lift class and made my first time lifting a great experience! I love this place....absolutely LOVE it. Great classes, great instructors and awesome facility. I went to my first spin class on last Tuesday. What a blast! Very professional with high quality equipment and I won a sweet 4g tee-shirt! I'm hooked! Thanks 4G! Did my first spin class this morning! Experience was great! Ali was a great instructor as well.. I'll definitely be coming back and look forward to trying the other classes. Great staff as well.